Massachusetts | A balanced diet . . .
It’s that time of the year, and here we are, on the road again in the USA. Another potentially daunting road trip that will take us from Boston, Massachusetts (MA) to St Paul, Minnesota (MN) via Vermont (VT), New Hampshire (NH), Maine (ME), New York (NY), Pennsylvania (PA), Ohio (OH), Kentucky (KY), Indiana (IN), Michigan (MI), and Wisconsin (WI), including a ferry crossing of Lake Michigan from MI to WI. This year I’m using my new Garmin DriveSmart 51 sat-nav, for which I purchased the USA-Canada maps. It saves Steph having to navigate, state by state, map by map, as in previous years, so she can enjoy looking at the passing scenery. We are also spending a week near Waterford in western Maine, with our daughter Hannah and family (Michael, Callum, and Zoë) at a cabin on the shore of McWain Pond, one of the many small lakes that dot the landscape. Anyway, it all started last Wednesday morning, very early, when a taxi picked us up from home at 04:00 to take us to Birmingham Airport (BHX) for our 06:00 KLM flight to Amsterdam Schipol (AMS), connecting with Delta 259 at 11:15 to Boston Logan International Airport (BOS). Apart from a rather rude Delta ground agent at Schipol, our connection was uneventful, as was boarding (Sky Priority), and I was soon enjoying my first G&T on the 6 hour 55 minute flight, on a comfortable Airbus A330-300. When we landed in BOS there was a delay of more than 20 minutes while the ground crew figured out how to connect the air-bridge to the aircraft. But soon enough, we were checked through immigration on one of the newfangled automated passport control (APC) machines. I still had to pass through regular immigration (and facing another rude official who even queried me about any visits I’d made to the Middle East). Before long, luggage in hand, we were at the car rental center and picking up our SUV from Budget. 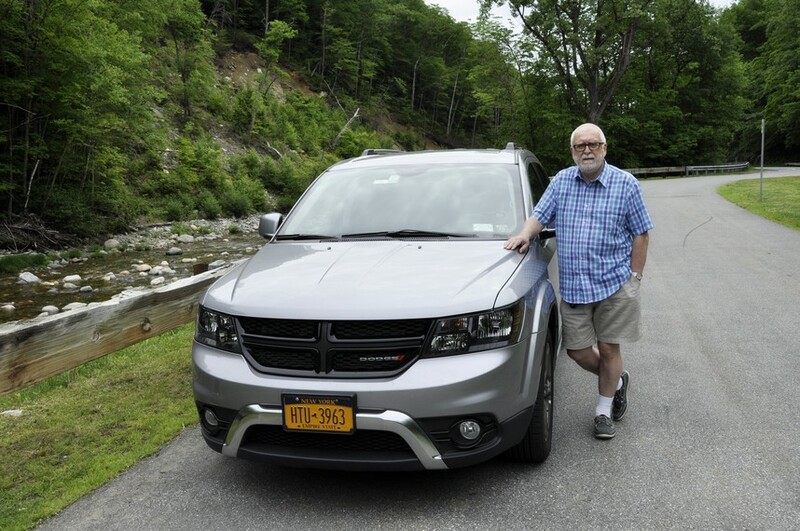 The Mitsubishi we had been assigned had a flat battery, so Budget upgraded us to a full-size SUV, a Dodge Journey V6—rather larger than we needed, but extremely comfortable nevertheless, if a little heavy on fuel (about 25 mpg). But at USD3 a gallon, that’s not really an issue. It would be in the UK, however, where gasoline is more than twice the price! We successfully navigated our way out of the airport and through the tunnels under Boston city center on I-90, after finally getting the sat-nav to behave itself. Our Wednesday night stop was in Hadley, in central MA, just over 100 miles west of Boston, and southwest by a handful of miles of Amherst. Over the next two days we took in northwest MA, the Green Mountains of VT as far north as Burlington, and then over the White Mountains of NH, to arrive at our cabin destination in Waterford, ME. Heading northwest from Hadley on Thursday, it was slow-going for the first 20 miles or so as we encountered school traffic and people heading to work. But soon we were in open country, on scenic byway 112 and often had the road to ourselves for long stretches (as we have enjoyed in past road trips). After about an hour we joined MA2, the Mohawk Trail, and followed that until North Adams where we turned north and crossed over into VT. There was a glorious view south from Whitcomb Summit, and some miles further on, just short of North Adams, there is a spectacular view north into southern Vermont, reminding us of the views we saw when exploring the Appalachians in 2017. Vermont is a beautiful state, with forested hills and mountains as far as the eye can see. 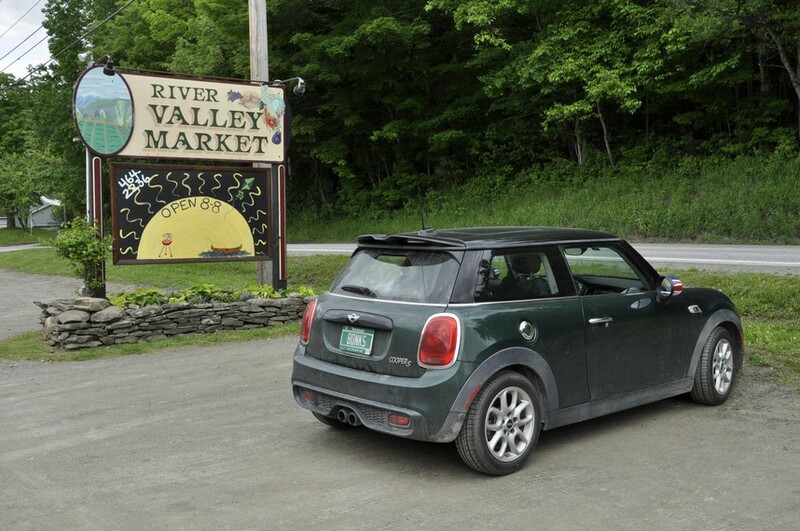 North of Wilmington, VT we stopped at a general store and deli to buy sandwiches and were intrigued with the Mini Cooper parked outside with an interesting registration plate BONKS. There was also a Golden Retriever with a Union Jack collar. We discovered that the proprietor was British, from Guildford in Surrey (near London)! We spent Thursday night on the east side of Burlington, conveniently located for the next day’s travel northeast into New Hampshire and Maine, beginning around 08:00. 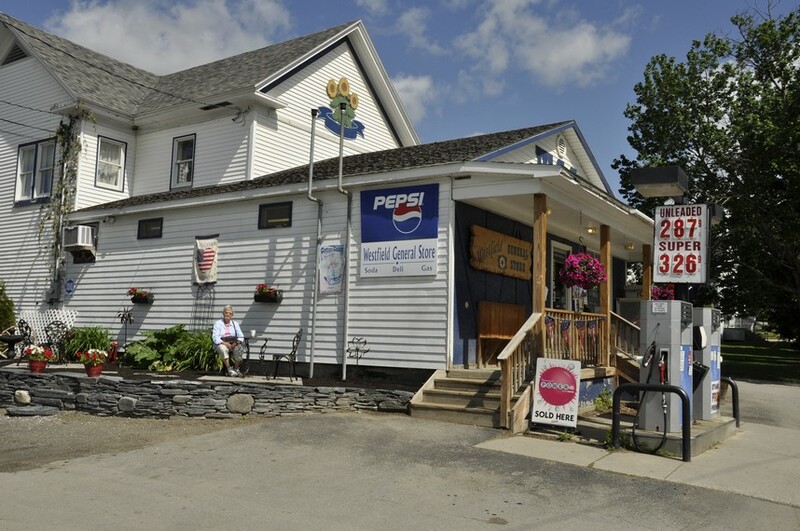 Most of the small communities we passed through have a general store or two, offering a whole range of produce, and many selling fresh sandwiches from a deli counter. We enjoyed a coffee in the sun at Westfield in the far north of the state, just south of the border with Canada. 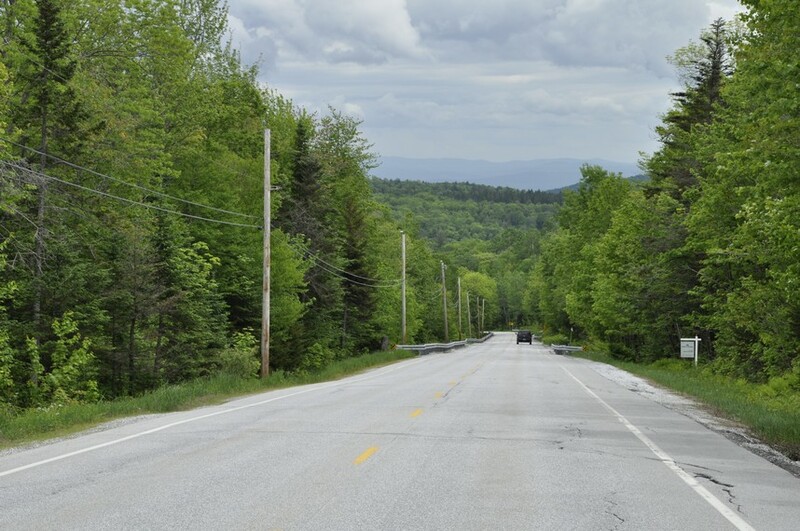 Crossing into New Hampshire, we headed towards the White Mountains and were not disappointed with the fantastic view of the Presidential Range and the Mt Washington Hotel Resort at Bretton Woods. That’s Mt Washington just left of center, at 6288 ft the highest mountain in the northeast USA. 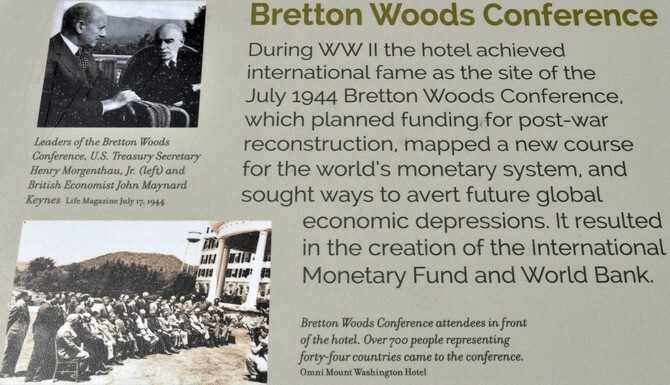 But Bretton Woods also has special significance for me. Why? Well, I worked for 27 years at two international agricultural centers, CIP and IRRI, sponsored by the CGIAR (Consultative Group on International Agricultural Research). The CGIAR was founded in 1971 under the auspices of the World Bank. In July 1944, an international conference was held at the hotel to plan for a post-war world, following which the World Bank and the International Monetary Fund were created. Stopping at Conway to pick up a supply of groceries, we finally reached the cabin around 17:00. A long enough day, followed by a couple of cold beers, an early night, but still far short of some of the travel we have yet to make.